Thatcher’s privatisation tsar will be the BBC’s new chair. What do you think he’ll do? Sir David Clementi. The government adopted the recommendations of his report, which called the BBC Trust flawed and said oversight should be handed to Ofcom [Image: David Hartley/Rex/Shutterstock]. The Guardian‘s report on the appointment of Sir David Clementi as the new chair of the BBC misses two important points: He was formerly in charge of Margaret Thatcher’s privatisation programme, and he never applied for the job. Now, why do you think the Conservative Government would give the BBC to their arch-privatiser, even though he didn’t ask for the job? We’ll have to keep this one under very careful scrutiny. Sir David Clementi, a former banker with no broadcasting experience, has been confirmed as the new chair of the BBC. Theresa May has confirmed the appointment of Clementi, the preferred candidate put forward by culture secretary Karen Bradley, who will lead the corporation’s new unitary board that will replace the BBC Trust on 1 April. 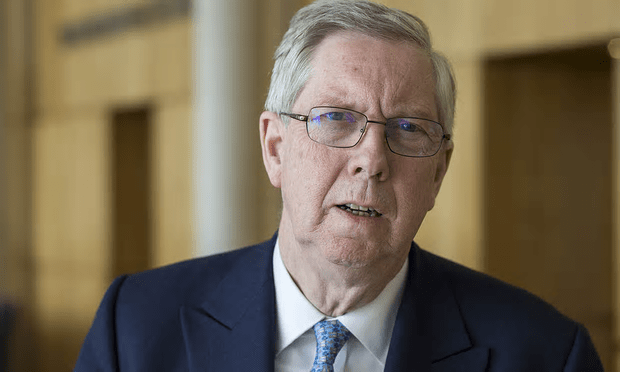 “I am confident that Sir David will provide the strong leadership necessary for the BBC to remain the world’s best broadcaster,” said Bradley. Feels like we are most definitely heading towards a commercial globalisation situation which many US voters were rebelling against in voting down Clinton. Feels the UK branch is still alive and well and on course. Not sure upon reflection that these privatisations went at all well for the general UK public in the long term. But hey the market and the banks did well and that’s the main thing we are only here to pay for their mistakes. . .. It would appear that he has already found a way to make money from the BBC Iplayer by charging for the privilege of watching a whole TV series before it’s mainstream broadcast. It’s debatable whether the BBC is the worlds best broadcaster given he bias that appears in its news broadcasts. and what is the difference between a unitary body and a trust? Hopefully he’ll sack James Purnell for starters.